Io Racing: ANNOUNCEMENT: Io Racing 2015 support! I'm very happy indeed to share with everyone that I'm lucky enough to receive support from both ET James & Sons Motorcycles and Moto Rally Services for the 2015 All Terrain Rally Challenge and RallyMoto Cup. I can't wait to start the season at the Pikes Peak Roadbook Rally in March in what will be my first ever navigational event. As usual, I will be uploading coverage of my races to my YouTube channel "IoTube" throughout 2015, as well as posting regular updates on the Io Racing blog and Twitter. 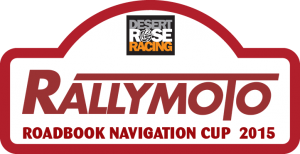 For more information about the All Terrain Rally Challenge, RallyMoto Cup and general rally chit-chat, visit the RallyMoto Forum at http://allterrainrallychallenge.co.uk. I look forward to seeing you all at the events, come and say hi!